I’m having a blast this year creating infographics and illustrations for people and organisations to help ‘picture their ideas’! As you know a picture paints a thousand words and infographics provide an eye catching way of communicating your messages and ideas, particularly complex issues. I’m so lucky to be creating unique pictures for people all over the world covering a wide range of issues from coastal and marine planning, oceans and fisheries, conservation and technology through to knowledge management and sustainability concepts. My infographics and illustrations are also being used in many ways including within international conference/workshop presentations, textbooks, annual reports, websites and journal articles. You can see more of my Infographics & Illustrations and you can contact me via my email at sue.pillans@internode.on.net so I can help you to “picture your ideas“! 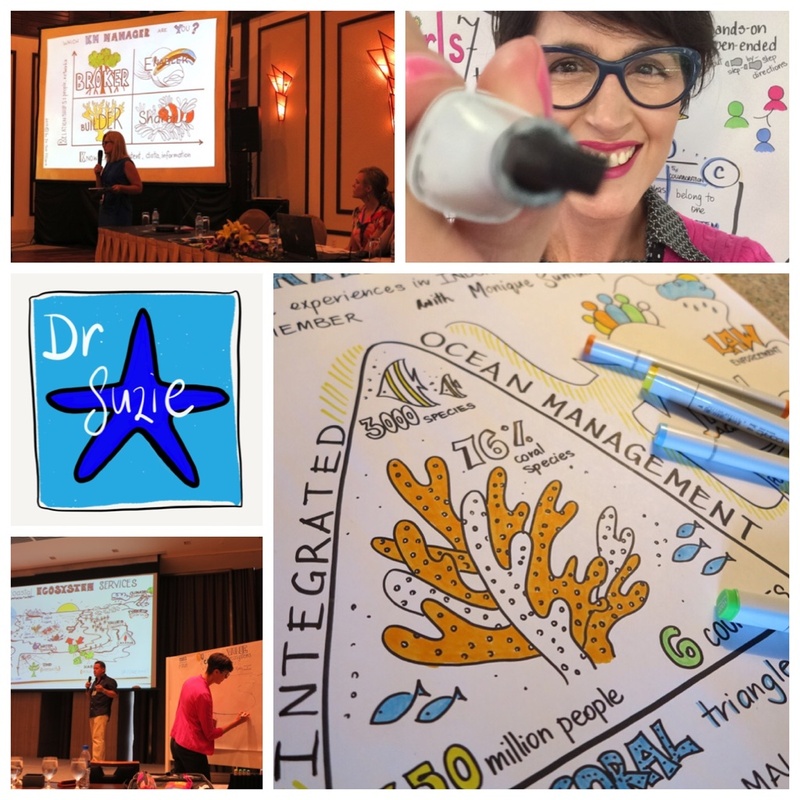 You can also follow my creative marine journey via my alter ego Dr Suzie Starfish (https://www.facebook.com/drsuziestarfish/) and @suepillans on Twitter and Instagram. ← A life of STEAM!